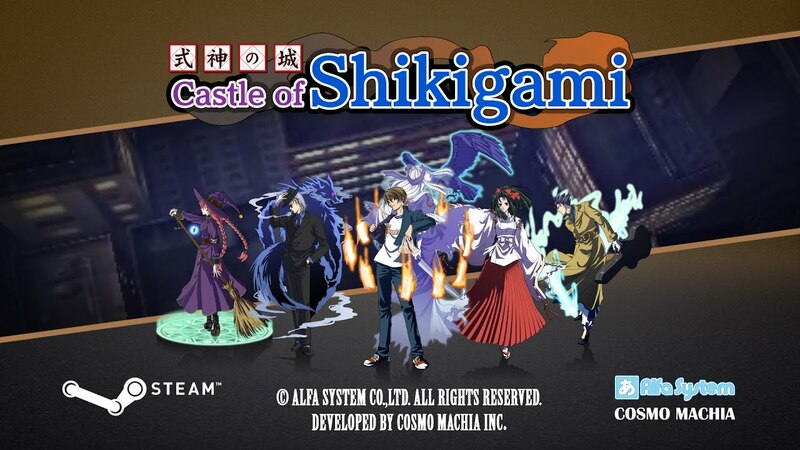 Castle of Shikigami is a dark, supernatural vertically-scrolling shoot-’em-up classic. Summer, 2005: Tokyo's Metropolitan Police Force is investigating an occult serial killer. Specialists have been called in to investigate. Castle of Shikigami is the dark, supernatural first installment in Alfa System's highly regarded shoot-’em-up series, newly translated and brought to the PC by Cosmo Machia and Degica Games. The Summer heat is scorching. Tokyo’s Metropolitan Police Force has had enough. One after another, 32 female victims were found brutally murdered. Could this be the work of the occult? Call in the specialists! Choose one of six characters and utlise their unique abilities to defeat the demons infesting modern-day Tokyo in this vertically scrolling shooting game. Use each character's shot, special Shikigami attack and bomb to conquer each stage and it's boss to ultimately discover who or what is behind “The Castle of Shikigami Incident”. © Alfa System Co.,Ltd. All rights reserved. Developed by Cosmo Machia Inc.